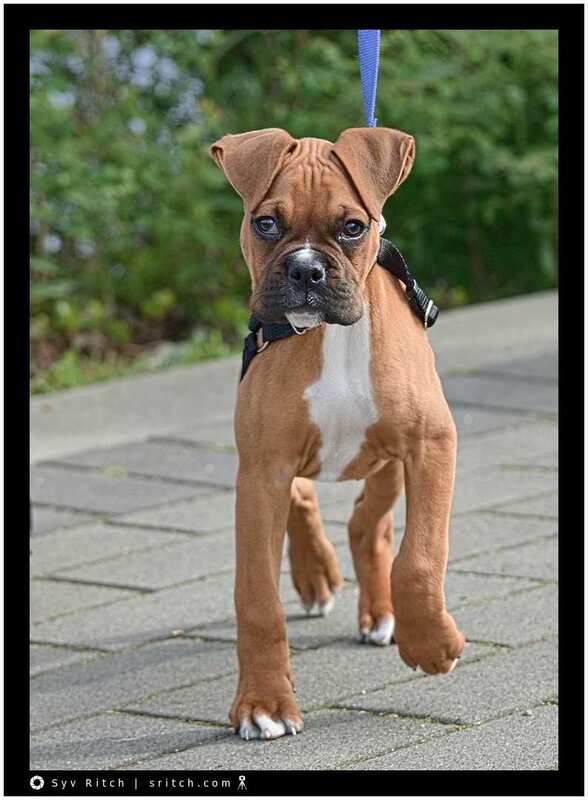 This 7 month old puppy boxer is a character. His name is Beastie and that’s the second dog that I know of with this name. In this case, his name comes from the computer world. Beastie is the little devil with his pitch fork that is the mascot of the FreeBSD operating system. FreeBSD is a computer operating system like Windows. FreeBSD and the Darwin project are the base for Apple’s OSx. Doesn’t he look cute? Doesn’t he look like troubles?